July 2011. Brotherhood of The Wind/ Motorcycle Road Culture in America. 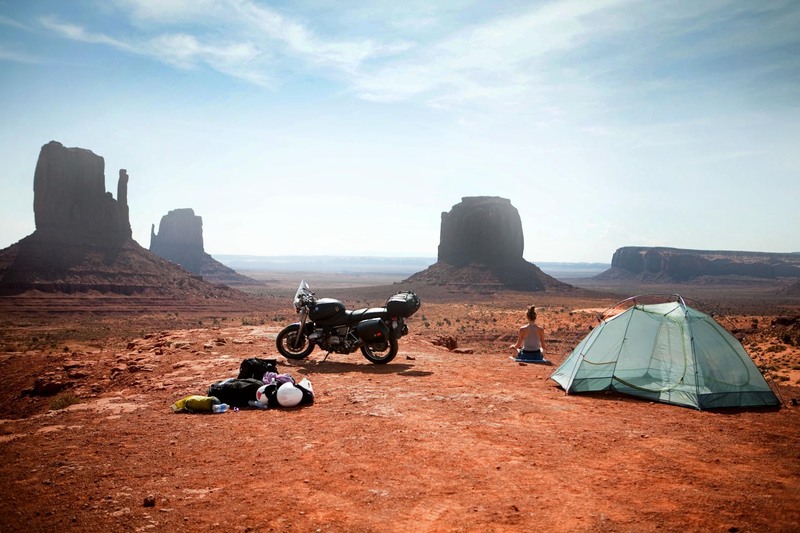 Here, the reporter during a quiet moment while camping in the Monument Valley, Utah. Piotr Redlinski for The New York Times.